Apple ID on an iPhone or iPad is an universal account that allows users to utilize various Apple services and apps. Every iPad user needs to have an Apple ID and password if they want to install applications from App Store, use iCloud services like Photo Library, sync their iOS devices with Mac and iCloud, buy music, e-book, apps or other media from iTunes store. So, you can say that Apple ID is the backbone of every iOS device including iPad without which any iOS device cannot work to its full potential. But, there are many users who want to know how to remove Apple ID from iPad without password. If you are among them, then follow this article to know the solution to this problem. But first, let's know the reasons why someone would want to remove Apple ID from iPad without password. Buying second-hand iPad - When you buy a secondhand iPad and the seller didn't remove his/her Apple ID. So, you need remove Apple ID so that you are able to use your own Apple ID on the iPad. Selling your iPad - While selling your iPad, you should remove your Apple ID from it so that you may not have to pay for services that you didn't use. Your Apple ID may contain your credit card information, so, it is better to remove Apple ID from your device before selling it. Need to change Apple ID - You may also want to remove the old Apple ID from the iPad so that you can use your new Apple ID on it. But if you find that you don't remember the old Apple ID password, you need to learn how to remove Apple ID from iPad mini without password. So, these are the reasons why you may want to remove Apple ID from iPad without password. Aside from these, there may be other reasons, but whatever the reasons may be, we will tell the best solutions on how to remove Apple ID from iPad mini without password below. Step 1 Download and install Tenorshare 4uKey on PC, connect the device to PC. Step 2 Choose Remove Apple ID then click the Start button. Step 3 Then 4uKey start to remove Apple ID. The process will take just a few seconds. Step 4 The Apple ID has been removed successfully. Find My iPhone is ON: 4ukey can remove the Apple ID but also a data loss will happen for iOS 10.2 and below. After removing Apple ID successfully, do not restore factory settings. Otherwise the device can just be activated with the former Apple ID. For inactivated devices or the iOS 11.4 and above that has turned on Find My iPhone, this function is unsupported. This is a video link about how to remove Apple ID from iPad without password. Step 1: Launch iTunes on your computer and then connect iPad to it with a compatible USB cable. Step 2: Wait for the device to sync with iTunes and then click on the Device icon at the top of the iTunes Window. Step 3: Now, click on the Summary tab on the left pane and it will display basic information about the device at the right-hand side. Step 4: Here, you need to click on Restore iPad button beside the Update option. Step 5: At the confirmation popup, click "Restore" option to confirm and the iTunes will begin restoring the device to its factory settings and it wipe off all data on it including Apple ID. Removing Apple ID from iPad with iTunes is a fairly simple process, in the case that iTunes works properly. iTunes is a chunky program, users have reported it often stops working from time to time. Moreover, iTunes is slow and you may need to wait for over an hour or half for the process to complete. There is also a condition that you can't use iTunes to restore iPad because the iPad is locked and you haven't synced with iTunes before. Thus, you will want a method that will allow you to remove Apple ID from iPad without password even from a locked device. For this purpose, you can use Tenorshare's 4uKey to remove iPad passcode by restoring it. Apple ID is a very integral part of an iOS device, without it you cannot do anything on your iDevice. To access iCloud, install Apps from App Store, buy music from iTunes or to use other services, you need to sign in to iPad with your Apple ID and password. But, when you need to sell your iPad, or if you need to change Apple ID on iPad, then you will need to remove the Apple ID on it first. 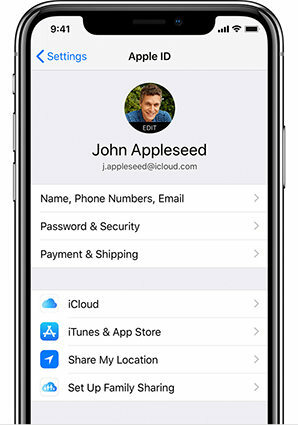 But, if you don't remember the Apple ID password, then, in this article, we have given the best solutions to remove Apple ID from iPad without password. Go for Tenorshare 4uKey and it won't be disappointed!